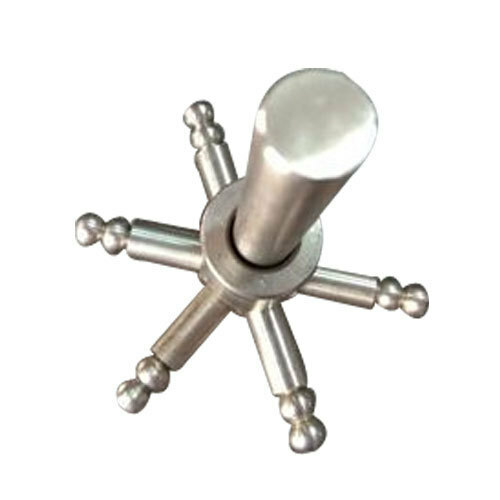 As per the needs and requirements of our clients, we are involved in providing Stainless Steel Star Handle. Incorporated in the year 2008 at Bengaluru, Karnataka, we “Kamdhenu Steel” are a “Sole Proprietorship” based firm, involved as the manufacturer and wholesaler of Stainless Steel Fitting, Glass Wash Basin, and many more. We have been counted amongst the most trusted names in this domain, engaged in offering a standard quality range of these products. Our products are widely appreciated for their long life and reasonable cost.